Classic style, rugged design, and top-notch features make these Timberland PRO Men's Waterproof 26002 Wheat Nubuck Steel Toe Work Boots the perfect choice for a hard day's work. Ready to hit the jobsite, this pair will keep you comfortable, protected, and on your t ... (see full details) (see specifications) #TMBTB026002713. Classic style, rugged design, and top-notch features make these Timberland PRO Men's Waterproof 26002 Wheat Nubuck Steel Toe Work Boots the perfect choice for a hard day's work. Ready to hit the jobsite, this pair will keep you comfortable, protected, and on your toes no matter what kind of challenges the day might produce. 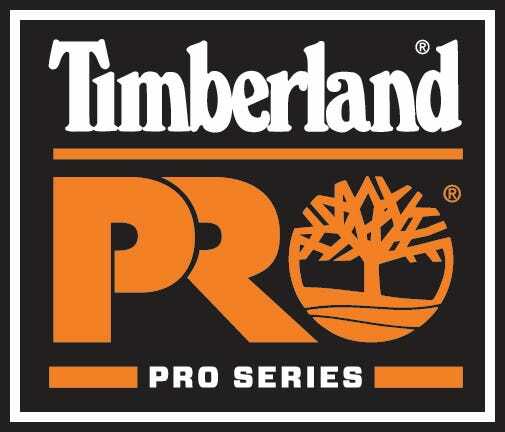 These Timberland PRO boots feature waterproof full-grain leather uppers for outstanding durability, comfort and protection. The leather is seam-sealed on these 8-Inch boots for reliable waterproof protection you can count on during wet or muddy assignments. Direct-Attach construction attaches the uppers to the Timberland PRO rubber outsoles for heavy-duty durability and years of rugged wear. Non-marking rubber lug outsoles provide outstanding oil- and slip-resistant traction for solid footing on any terrain. You'll appreciate the ASTM-approved steel-toe every time you head to work. Whether you encounter falling objects, impacts, or other hazards, you can always count on serious protection from this pair of safety toe boots. These insulated boots also have a nylon shock-diffusion plate for added support for your working feet. These waterproof boots also feature mesh lining and open-cell polyurethane footbeds with an antimicrobial treatment for odor control. Inside you'll find a layer of 400-gram Thermolite insulation. Exceptionally thin and light, Thermolite provides unmatched warmth without adding bulk or weight to your direct attach boots. When you face the wet, cold conditions of outdoor work in these steel toe boots, you'll really love having a nice warm layer to keep you protected. These men's boots also boast Electrical Hazard protection to protect you from live circuits. For comfort, these oil-resistant boots feature Timberland's PRO 24/7 Comfort Suspension Technology which helps you meet even the most rigorous jobsite demands with extra arch support and cushioning for less foot fatigue and comfort that lasts. An easy-cleaning, removable, contoured sock liner works to reduce blisters and move perspiration and moisture from your feet for a dry fit all day long. Classic and rugged, with these Timberland PRO Waterproof 26002 Wheat Nubuck Steel Toe Men's Boots, you can head to work knowing you'll be dry, warm, and comfortable the whole day through. Pick up your pair today for the sure-footed confidence you need to get the job done right. One heck of an insulated work boot and I'm glad I bought them. The ankle area is especially comfortable and I can get them on and off without the struggle I had on my last pair of work boots. Great price too! Thank you! An excellent boot for the money, I tried another pair of "workboots" and ended up giving them away after only two or three wears because they weren't half as comfortable as my timberlands!! As long as I can still buy them, i'll keep wearing them - my wife complains that I dont ever take my boots off, but its cause they are sooooo comfortable. After the first two days of feeling new, it feels like you are wearing your most comfortable sneakers. ENJOY!! Good little "s"-kicker, 3rd pair of Timberland Pro Waterproof Wheat Nubuck steel toe boots (26002) I bought. Highly recommend this boot for the money. I wear them for work & yard, also a good riding boot, pretty versatile. Comfortable but seems to run a bit small. They are also good looking. Can't go wrong for the $$$$. I would recommend these boots and the Timberland product line period. I had my first pair of these boots last a year and a half almost. Most people at work only make it that long with a pair of boots. They are always wet and being abused. I had to put tuff toe on them after 4 months because I was tearing up the front of them working with jack hammered concrete and asphalt. My feet never got wet as long as I kept snow seal on them. I had to buy a new set of boots because I did not apply the snow seal for the past year or so. The tough environment they are exposed to caused a crack to form where the steel toe liner meets the leather on the top of the boot. With my new set I am going to snow seal them once a month. I plan on buying this same boot for as long as I can. They are a great boot for the price! Timberland PRO Boots: Men's 26002 Waterproof Wheat Nubuck Steel Toe Boots is being added to your cart.